Is the Iranian Art Market Waking up with a Roar? 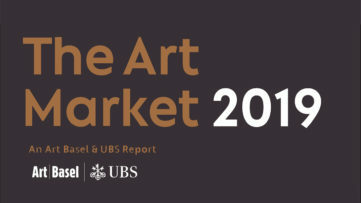 Recent developments in the world of art and the global decline detected in the latest TEFAF art report left many wondering whether the art market is slowing down, but a look at the latest auction held in the capital of Iran suggests otherwise. 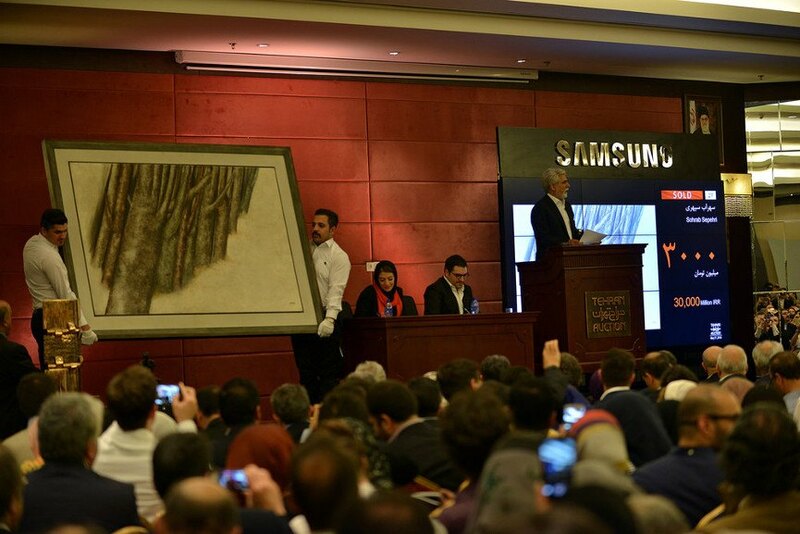 Tehran art sale that was held on Friday, May 27th, in Parsian Azadi Hotel broke all known records and reached $7.3 million in value, $1.2 million more than the (also record-breaking) auction held in 2015. Among numerous works by Iranian classical and modern artists the works by Sohrab Sepehri were valued the most and reached the highest prices of $873, 000 and $447,000. 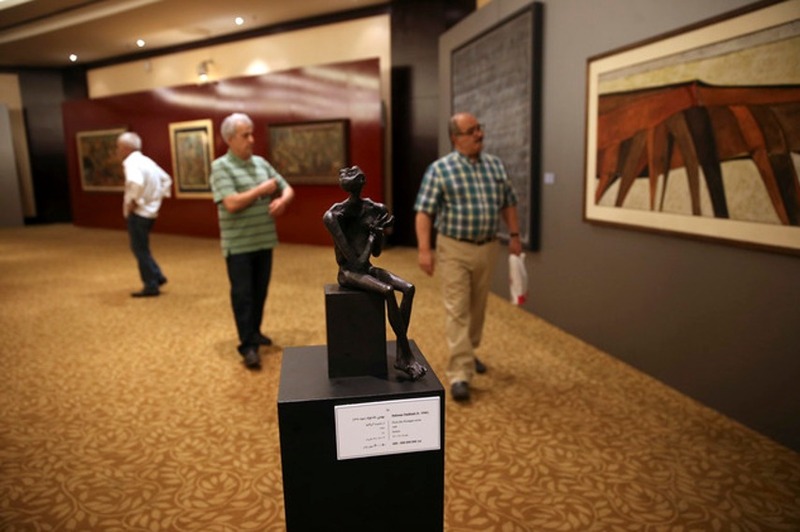 As every year in May, numerous celebrities, collectors but also members of the government gathered in the luxurious Parsian Azadi Hotel looking to buy some of the finest pieces of Iranian art. And just like last year, works from Sohrab Sepehri’s Trunk series stole the show by reaching the highest prices at the highly successful 5th edition of the event. 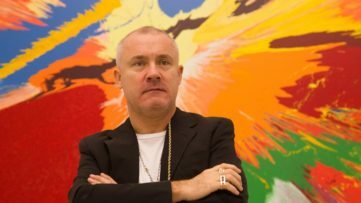 According to Iranian newspaper HAARETZ, two pieces by the acclaimed Iranian poet and painter fetched $873,000 and $447,000 at the art sale, thus repeating the last year’s success when three of his paintings were sold for a similar price. Works by the Iranian sculptor Parviz Tanavoli were also in high demand greatly surpassing its starting price of about $100,000. The auction shied away from political topics and featured abstract works, portraits, pastoral images but also sculptures and applied art pieces such as vases and other luxury items. 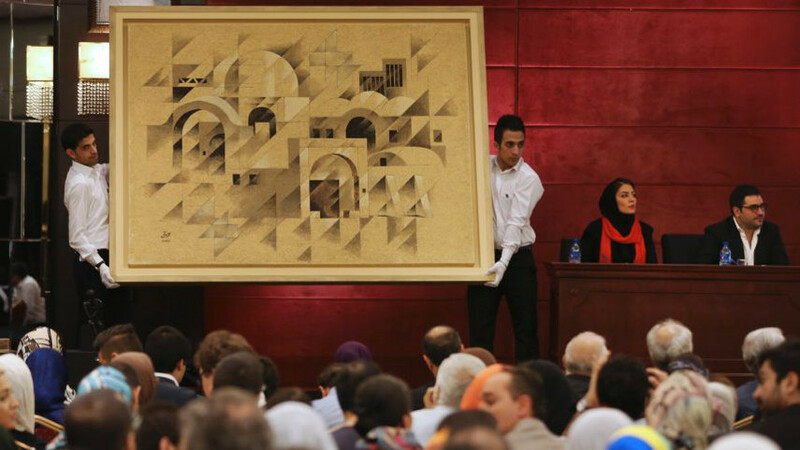 The fact that the fifth edition of the Tehran art sale smashed last year’s record of $6.1 million by 12% seems even more fascinating considering that it only featured 80 items opposed to 126 artworks sold in 2015. 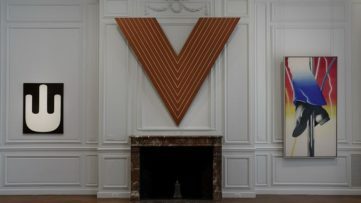 Forty-six works were sold above the estimates and only one art piece, a painting entitled Rara Avis by the artist Bijan Rafati, failed to find a buyer. With the expected removal of the sanction enforced on Iran by the West, art has become increasingly valued as a form of investment among the businessmen, which is one of the reasons for the rising prices but the Iranian art is valued in other parts of the globe as well. 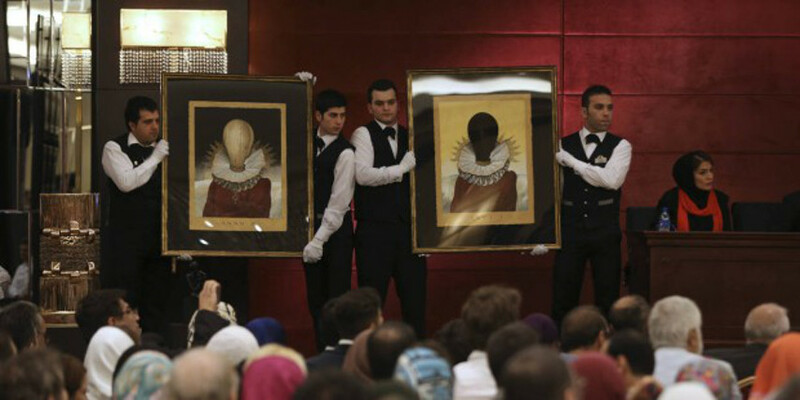 Numerous art collectors from the West acquired several art pieces at the Friday auction, despite having to bid through their local connections due to the fact that the Iranian banking system is not fully connected to the international market. Things are looking bright for the Iranian art market with the auctions getting bigger and more ravishing every year but the constant rise of value can signal the recuperating of the global market as well. With the expected lift of the international sanctions, the prices of works by Iranian artists are expected to grow further and might be just the boost that the global art market needs to get back on track.